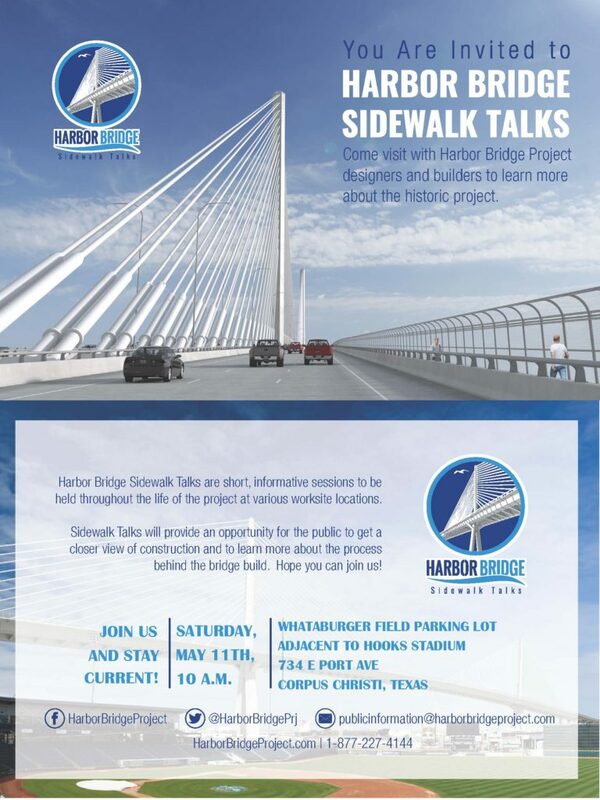 Sidewalk Talks are quarterly gatherings between HBP and the citizens of Corpus Christi. Attendees will gain valuable insight on the bridge, learn about exclusive project updates, and take home a unique souvenir! This FREE event is open to all ages, so grab your family members or friends and get a close, behind-the-scenes look at the future of Corpus Christi. Our next Sidewalk Talk is May 11th!